Recipe video above. 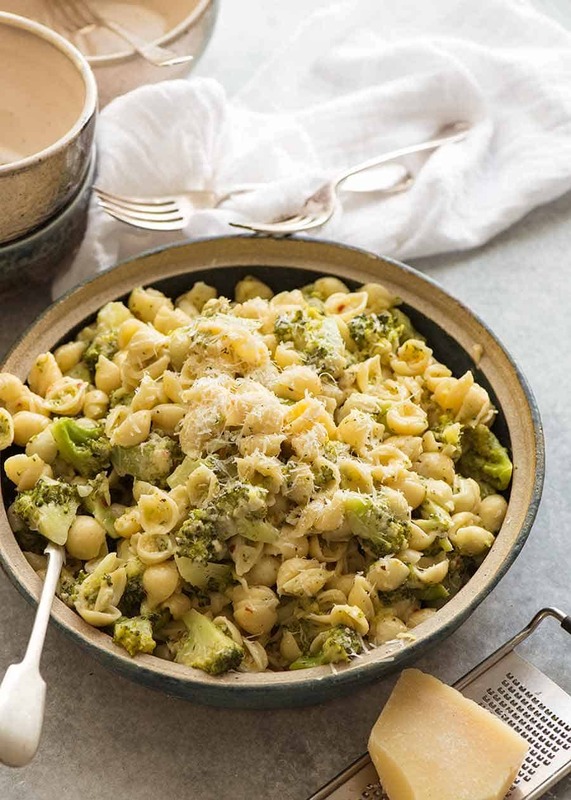 This is a great emergency meal OR carb + veg side for all those times when your cupboards are bare except for broccoli, pasta, and some kind of cheese. It's saucy without using tons of oil, and there's loads of sub options. 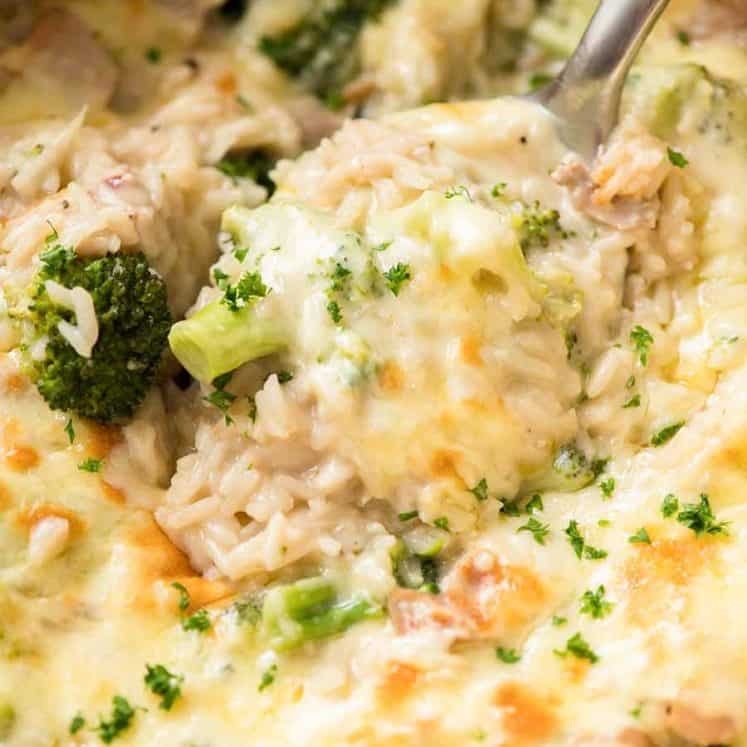 Quick and utterly scrumptious - loaded with tons of broccoli! 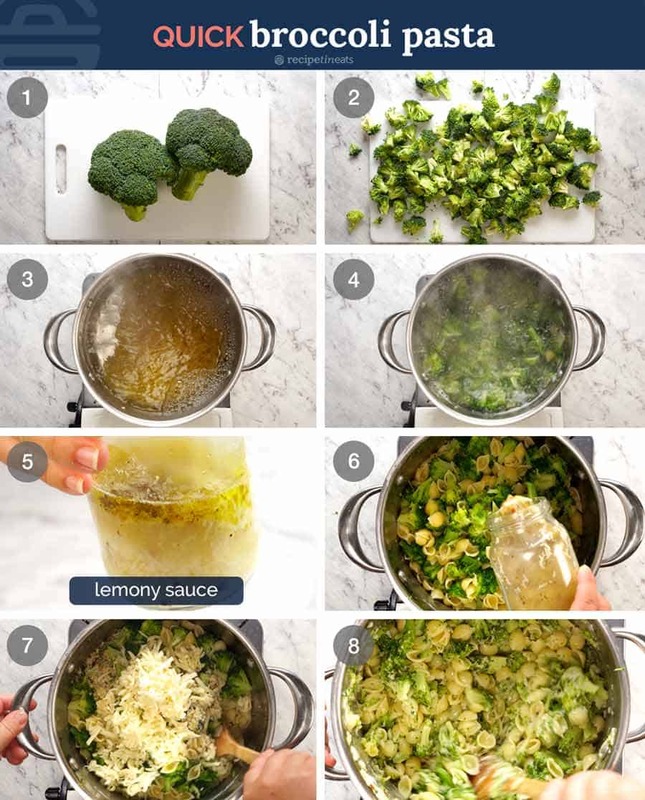 Add broccoli into water 1 - 2 minutes before pasta is cooked. Pasta - any short pasta is fine here, macaroni/elbow, twirls, penne, ziti, orecchiette etc. 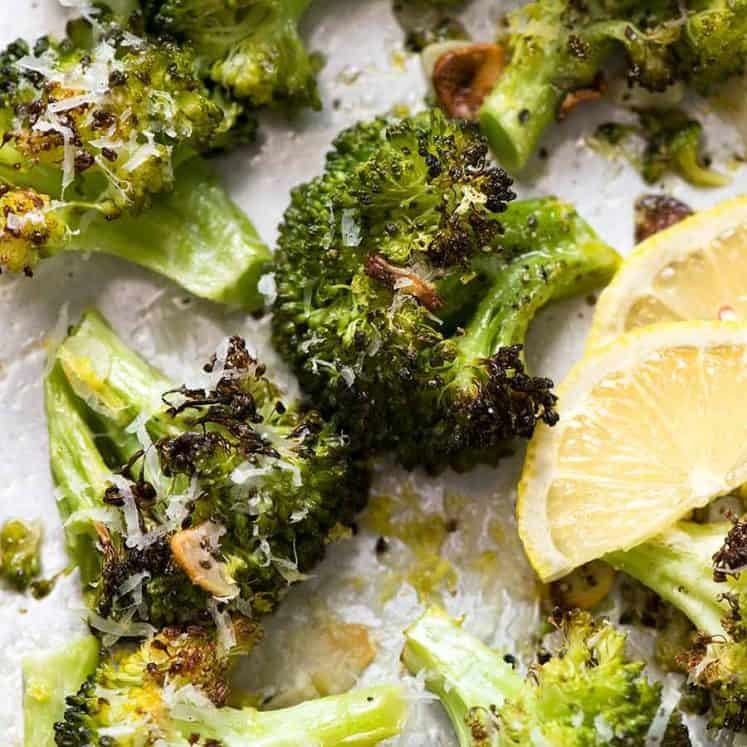 Broccoli - this dish can take loads of broccoli, and still worth making even if you're a bit short (or scale recipe down - click on servings and slide). Cheese - any melting cheese fine here, preferably flavoured like cheddar, Monterey Jack, tasty, gruyere, Swiss. Mozzarella also fine but you'll probably need more salt. Lemon - not intended to be a full on lemon pasta, but the subtle tang and hint of lemon is terrific. Feel free to jack up the lemon flavour. Subs: 1.5 tbsp more oil or a mild vinegar like white wine vinegar, champagne vinegar, even rice wine. 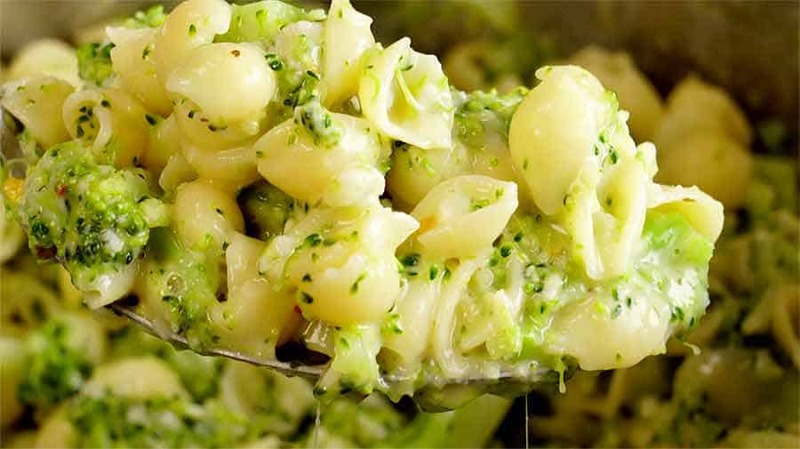 Garlic - could stir through green onions instead, or add 1/2 tsp garlic or onion powder into Sauce. OR finely grate any onion and add 2 tbsp it into dressing (juices and all). Hi Nagi! 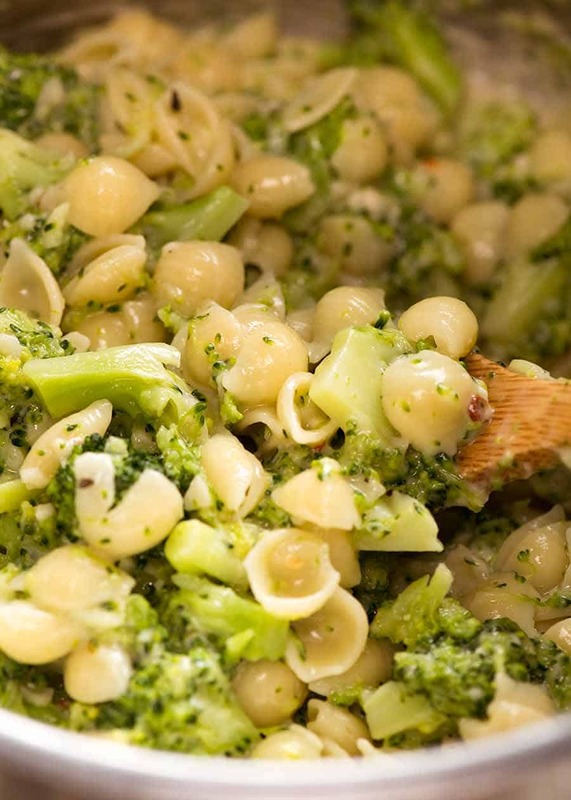 Thanks to your Simple Broccoli Pasta. I have been looking up for an easy side dish for my wedding that both vegan and non vegan can enjoy. I have already tried some of your recipes and they were great. Thanks so great to hear Liezel, Hope you had an amaaaaaaazing day! 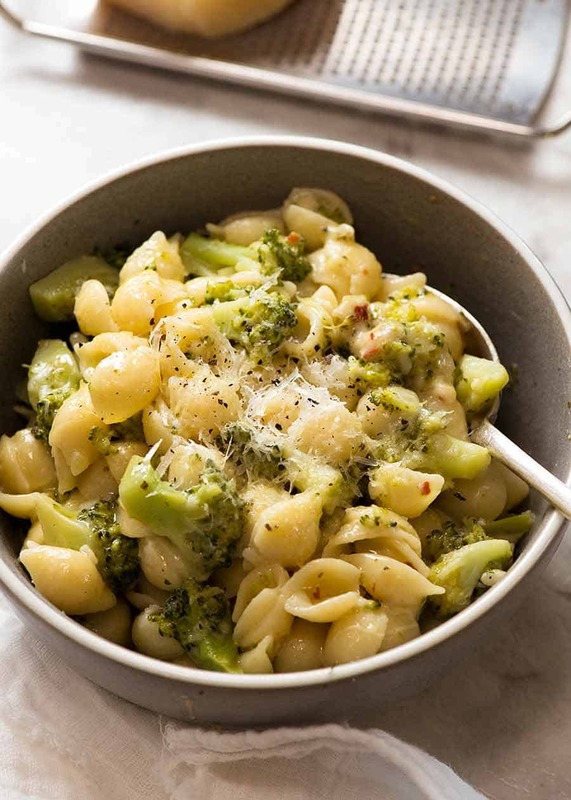 We loved the broccoli pasta, super quick to put together with maximum flavour. Also have made the Magic Broccoli twice last week – it’s SO Good! Wahoo! Thanks for letting me know what you think Vanessa! Hi! 🙂 Can we sub lemon for lime? Slightly different flavour but sure! I am making this tonight. I love your pasta/single veggie combination dishes. I made the mushroom pasta last week and now i will try this. More recipes for “sneaking in veggies” as an easy side dish! I love sneaking in extra veg! I made this evening and eating it as we speak. Wow… it is so good. I am enjoying every mouthful. I used macaroni and 100g of buckwheat pasta spirals I had in cupboard. What an easy to prepare meal and so healthy. I am running tomorrow so this meal should help. This is another winner from you Nagi. Thank you. Hi Nagi, I’m going to cook this for dinner tonight but I’m wondering if red pepper flakes are dried chilli flakes in Australia? I haven’t seen red pepper flakes in Woolworths here. Hi Nagi. Absolutely going to make this. Loving the pasta sauce. (I usually make something similar but with spaghetti and spaghetti sauce). So, this lemony sauce looks exciting …I am tasting it already. Thank you. As for Dozer, omg …adorable as ever. We had this last night as our Meatless Monday meal. It was delicious! Thank you for Yumy meal, will make this ASAS.. I’ve just got all clear by the Drs, very pleased with blood test. Also got remainder how serious it was. So bring on broccoli and anything green. Love, love Dozer photo wish I was there staff. Once went to such shop to by Maza treats and end up spending all money on her and NO shopping…..Please say no more. Q: is your line OK now?? Enjoy last of warm weather. Perfect for a full meal for me on a busy work day ! 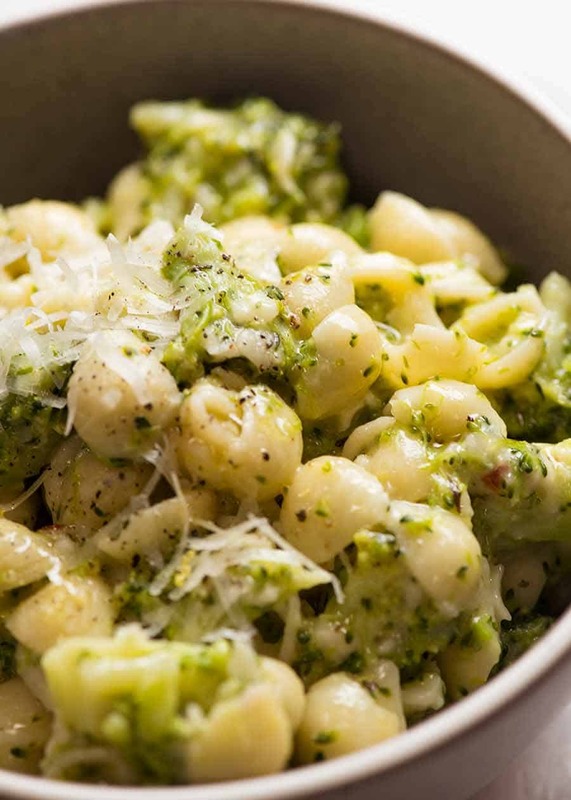 One head of broccoli, fusilli pasta and fresh herbs . . . 10 minutes to a glass of white wine and a yum 🙂 ! Hi Nagi! This looks like a perfect meal to me! Just give me a bowl of this and a spoon and I’d be happy! I never buy pre-shredded cheese as it contains cellulose which is basically sawdust. Yuck! Dozer certainly does know how to “play the ladies”. I saw the recipe this morning and made it this afternoon. Needed a pasta side dish for our BBQ baby back ribs (we always made Mac & cheese and I was tired of it). I had everything in the pantry but the pasta. 5 lbs of spaghetti, but no bows, shells, or anything similar?? Drove 30 mins to get just the pasta (and couple of bottles of wine). And yes, it turned out amazing! Everybody loved it. One of the guests asked for a small container to take some home. Okay, I followed the recipe to the tee, as I always do for the first time. Used one cup of sharp Vermont cheddar. Next time, I’ll use more, just like Nagi suggested. 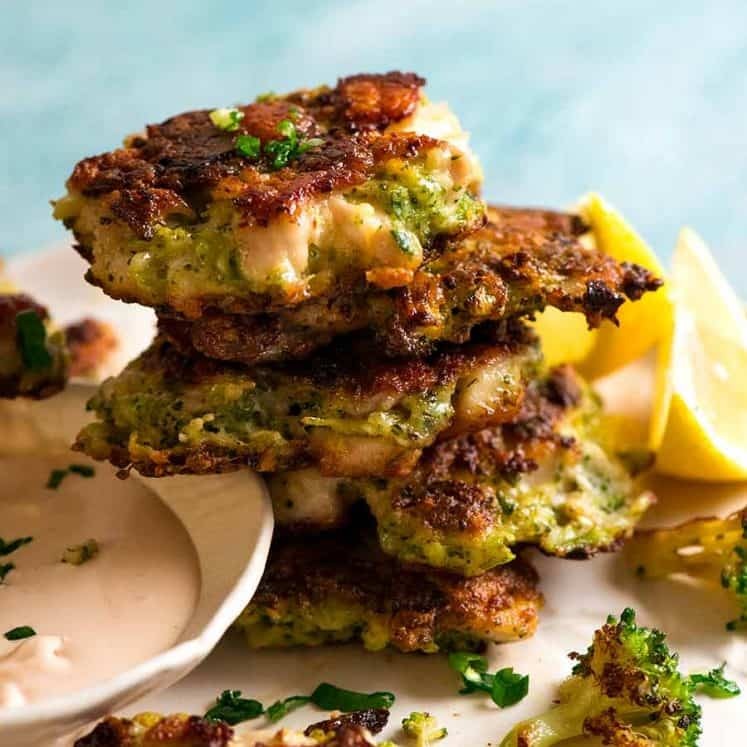 This recipe is a keeper, hope you enjoy it as much as we did! Are you joking…we are consuming sawdust in pre shredded cheese…. While I love your work, as a spouse of a wife who passed from cancer, and an understander that cancer eats sugar, if it were me, I would eliminate the sugar, halve the pasta and double the brocs. 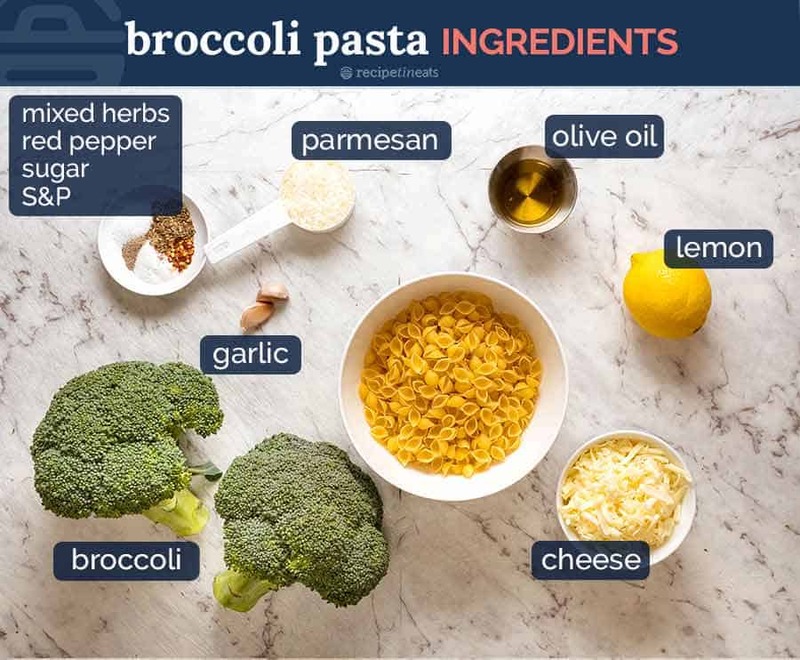 This will become a go-to for me over the next while…love both pasta and broccoli so it’s perfect for me. 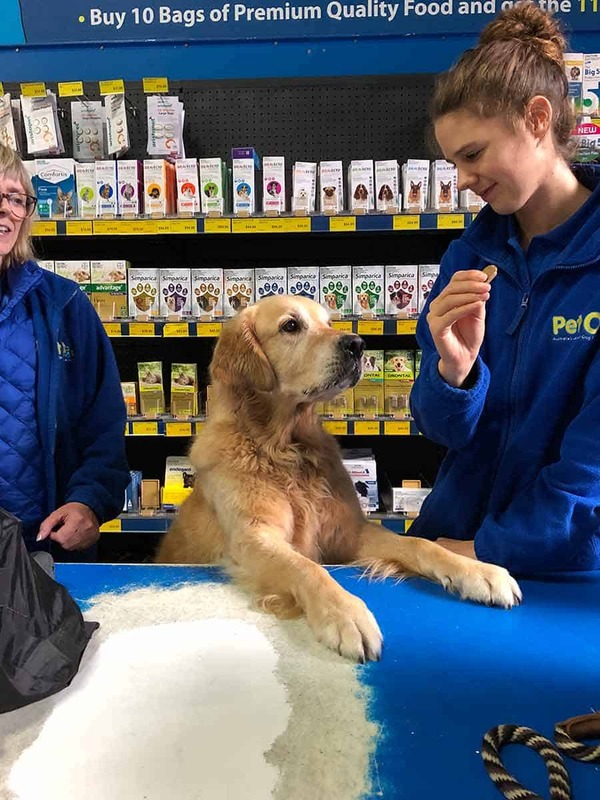 That picture speaks a thousand words without saying a thing…look at the love in the eyes of the one holding the treat! Dozer indeed has his own following, thanks for sharing your furbaby with us Nagi. I’d love to hear what you think if you get a chance to try it Leah! As for Dozer? All he wants is the treat. He just thinks about his tummy!! Hi Nagi! How do you think this recipe would translate as a cold, summer salad dish? 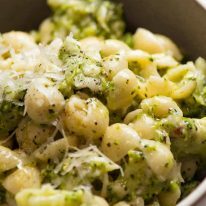 This recipe sounds wonderful, although I would reduce the amount of pasta and increase the amount of cheese (I need less carbs and more protein). Also want to let you know that I really like the scaling widget. Great idea! Hi, Nagi! Haven’t cooked the broccoli pasta yet . . . but I plan to soon. Your recipes always look so good, taste so good and make a lot of sense! Dozer’s doing his job! Everybody loves him! Now this is the way I can get Jon to eat his greens! It’s practically the only way, haha. Looks delicious Nagi!